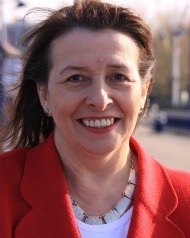 Teresa Pearce MP is writing to local schools in Erith and Thamesmead to highlight Voice Box, an annual joke-telling competition designed by the Royal College of Speech and Language Therapists (RCSLT) to build schoolchildren’s communication skills. Over 10% of children start school with some form of language problem. If undetected speech, language and communication problems can lead to low levels of literacy, poor educational attainment, poorer mental health and wellbeing and, in turn, difficulties finding employment, and life chances. Primary schools across the country are invited to bring laughter into their classrooms this autumn by taking part in the competition. Schools should hold their joke-telling contests between October and November with a chance to go through to a grand final in Westminster, in 2019. The pupil with the ultimate winning joke will receive an iPad mini, while two runners-up will each receive national book tokens. This entry was posted in Education, News, Press Notices and tagged Competition, Education, literacy, primary school, speech and language, Voice Box, young people. Bookmark the permalink.